What we have found is that clients spend the majority of time thinking about the homepage design and how it will look, and little to no time regarding the interior pages or landing pages themselves. This is an oversight that can be quite costly, as the biggest impact is with lead conversion, which is vital to a company's growth. Any action you want a visitor to take, from an email marketing campaign to a free estimate form, should have a corresponding landing page. The more you drill down and segment, the better your conversions will be. So what, exactly, is a landing page? Landing pages are web pages that prompt the visitor to provide their contact information by filling out a contact form, or a lead-capture form. In exchange for their information, a business will offer the visitor something attractive, such as access to a webinar or an eBook. Effectively, landing pages should target a specific audience, offer something valuable, and obtain information about who the visitor is and what they’ve converted on. 1. Lead generation. Statistics show that sending traffic from email, social media and search engines to a business’s homepage is equivalent to throwing those leads away. Landing pages provide a simple way to generate leads that can be easily segmented, nurtured and eventually converted into customers. 2. Nothing is free. A business’s marketing offers, such as tip sheets and webinars, will only generate leads if they are guarded by landing pages. The idea is to require visitors to exchange their contact information for whatever the business is offering. Giving away an eBook, for example, will not help a business’s lead generation if it is not attached to a landing page that captures a visitor’s contact information. 3. Demographic information. As leads fill out contact forms, a business is collecting more and more valuable demographic information. In turn, this information provides a baseline for determining future interactions as well as information about what types of visitors are converting. 4. Prospect engagement. Landing pages not only allow a business to generate new leads, but also track reconversions of existing leads. Tracking reconversions can highlight which prospects are more engaged, and, therefore, most likely to become customers. 5. More content. Landing pages also serve as effective content. In addition to capturing lead information, landing pages can serve as quality content that can be shared on social media, used as the focus of email marketing campaigns, and show up in a search engine list. 6. Valuable insights. More landing pages equate to more information. So, each new landing page that a business creates provides more data that can be used to convert and retain leads and alter the marketing strategy as needed. 2. Remove the main navigation and utilize an uncluttered web design. 3. Remain on-message by matching the headline with the call-to-action. 4. Encourage sharing with conspicuous social media buttons. 5. 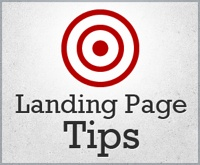 Create more landing pages with targeted content. Statistics show increasing landing pages from 10 to 15 will bring a company a 55% increase in leads. 6. Use the shortest possible form that collects the most relevant (i.e. necessary) information. 7. Consider using terms other than “submit” on the contact form. A button with the phrase like “Get your free eBook” will likely be more persuasive. 8. Diminish a visitor’s hesitation to give out their contact information by adding proof elements, such as a privacy message, security seals and testimonials. Landing pages consist of targeted, quality content that provide optimal opportunities for lead conversion, and by creating more landing pages, a business increases its ability to capture and convert leads.